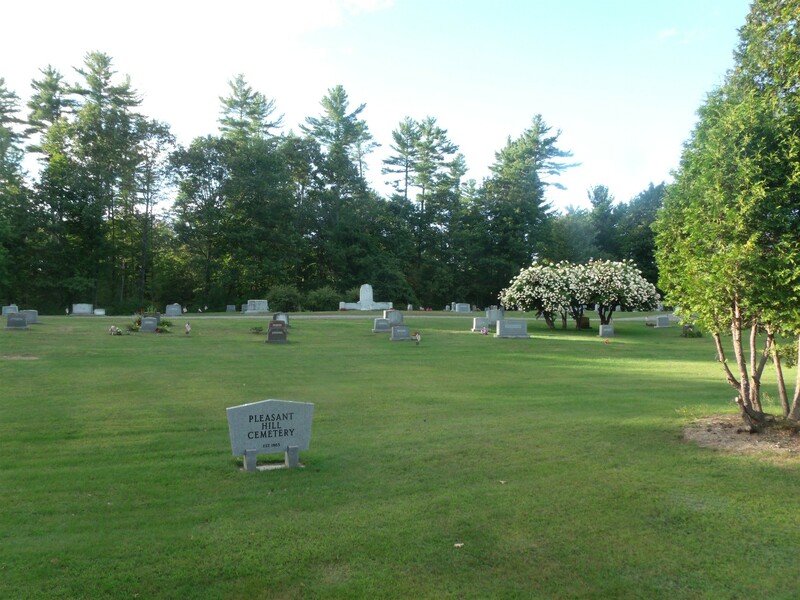 Looking northeast at Treat Memorial Cemetery, AKA: Pleasant Hill Cemetery 1865, on the north side of Fayette Road (Route 17) in Livermore Falls, Androscoggin County, Maine. The "Treat Memorial" Vault is to the left of this photo near the southwest end of the cemetery. "Old" Pleasant Hill Cemetery is on the opposite side of Route 17. Photo on Sunday, September 2nd, 2012 by Tim & Grace Cooper.